long and carry 2.5 million gallons of crude. SAN LEANDRO CITY COUNCIL | Elected officials in San Leandro have often been reticent about making public stands on somewhat ancillary issues. Four years ago, it updated its council member handbook to include language suggesting they not offer resolutions on seemingly unrelated subjects to the livelihood of San Leandrans. But, over the past few weeks the City Council’s typical solidarity has revealed fissures after Councilmember Jim Prola first attempted to offer a resolution against the use of rail tankers holding millions of gallons of potentially combustible crude oil travelling through the East Bay and specifically, San Leandro’s city limits. Although, there was never much push back on the sentiment of the resolution, it again raised questions over the city council’s guidelines, which some members note are non-binding. After debating for 45 minutes the language in the current handbook Monday night, the City Council unanimously approved, without discussion, a resolution asking the Alameda County Board of Supervisors to oppose the expansion of the Phillips 66 facility in San Luis Obispo County. Critics say the plan would mean additional caravans of more than 2.5 million gallons of crude oil will be transported along railways through the East Bay with greater frequency. A massive train derailment and fire last month in West Virginia again raised fears in communities across the country over the safety of transporting crude oil through heavily-populated areas. However, Monday night’s discussion highlighted an institutional aversion toward making definitive stands on issues. Few city council’s in the East Bay register more unanimous decisions than San Leandro, but the debate over resolutions also suggests the council is already testing new Mayor Pauline Cutter’s authority. Cutter scheduled Monday night’s agenda items on council guidelines regarding resolution, she said. “Some of these issues are the most divisive,” Cutter added, in addition, to being time-consuming for staff and often the impetus for lengthy deliberations. 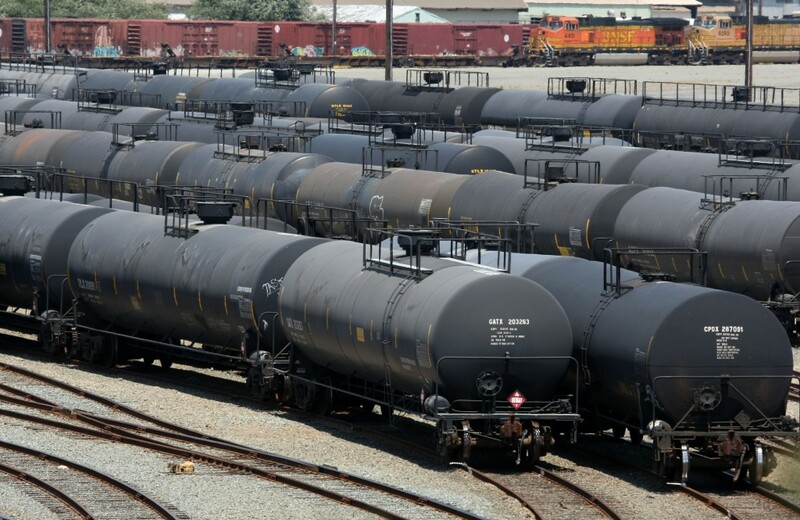 Earlier this month, Cutter already sent a letter to the San Luis Obispo County Department of Planning and Building on Feb. 12 that conveyed the same opposition to crude oil trains in San Leandro that the council approved this week. However, it was sent before this week’s agenda item was posted, noted, Councilmember Ursula Reed. Under the City Charter, the mayor is designated as the city’s top spokesperson. Yet, some council members questioned whether in the future the signature on city letterhead of the mayor or one council member to support or oppose an issue may tacitly suggest the backing of the entire City Council. Posted in Alameda County Board of Supervisors, Benny Lee, Chinese flag, Corina Lopez, Jim Prola, Pauline Cutter, Phillips 66, railways, resolution, san leandro, san leandro city council, trains. Bookmark the permalink. Good for the Council opposing these railroad shipments through their town. Forty seven people died when one exploded last year and another exploded this year.